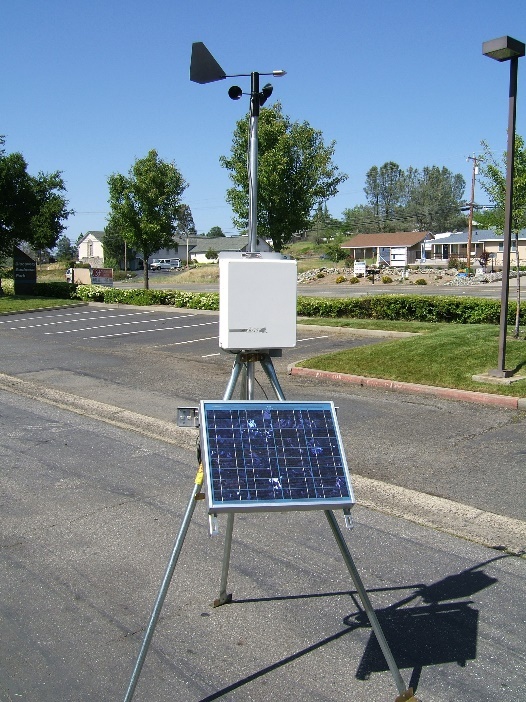 The 110-WS-NOVA-SAT Satellite Weather Station is a basic weather station that can sample four analog inputs to read a variety of sensors and four digital inputs for sensors such as rain, flow, and wind speed. The Nova-Sat conserves power by entering sleep mode when not transmitting. It can be set to read and transmit data at user-defined intervals as well as event based reporting. Its RS232 interface connects to a satellite modem providing a link to the internet. Data plans are available from McCrometer Connect located in Hemet, CA. (See details in the Data Plans and Services data sheet). 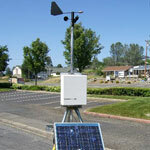 2x digital in: pulse counter for rain, wind run, etc. 2x frequency in: 10 kHz max, 10ms minimum pulse width for wind speed, flow, etc.